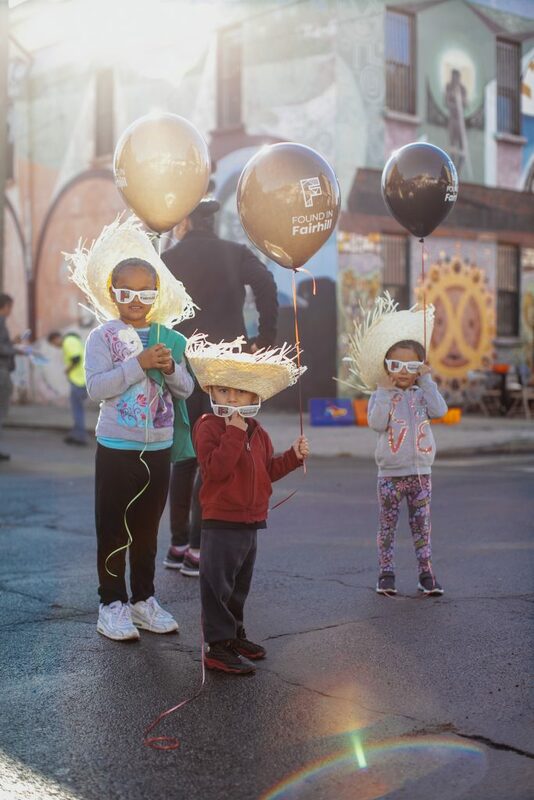 The Philly Free Streets event on October 28th was a smash hit in Fairhill, the Northern end cap of the Free Streets route. Beginning bright and early on a sunny Saturday morning, folks of all ages began strolling down the closed 5th Street central corridor in search of Pokemon. 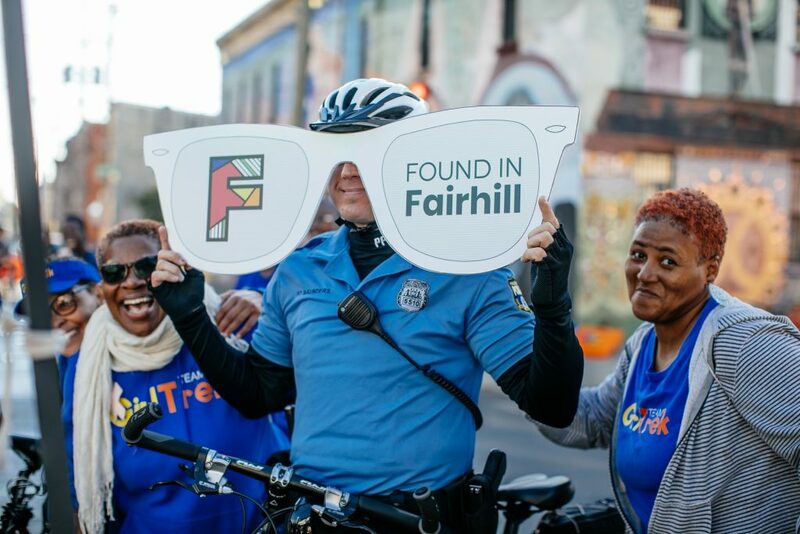 Found in Fairhill ambassadors were standing by at the Huntingdon Street Gateway to El Centro de Oro passing out free Found in Fairhill shades to all the early birds. Up the street at 5th and Somerset, people were getting their paint brushes warmed up with the Mural Arts Program just outside of El Bohio restaurant as the sounds of Latin beats got bodies moving. Free Zumba instruction by Peter Watts Fitness Studio was a huge hit with people of all ages. By late morning, the Found in Fairhill tent was all out of free shades, but never stopped with the giveaways. El Coqui Panaderia arrived with free mini pastries to promote their new location, El Encanto, opening early 2018 at the new Taller Puertorriqueño building at 5th and Huntingdon. 200 boxes of Puerto Rican treats were passed out to hungry hands in less than an hour. Thankfully, Latin fusion dance instruction was in full swing just across the street. Meanwhile, Capoiera and hula hooping captivated passers by and lured participants of all ages to indulge in the fun. The street was full of families, friends and neighbors, biking, walking, and rolling along with smiles. 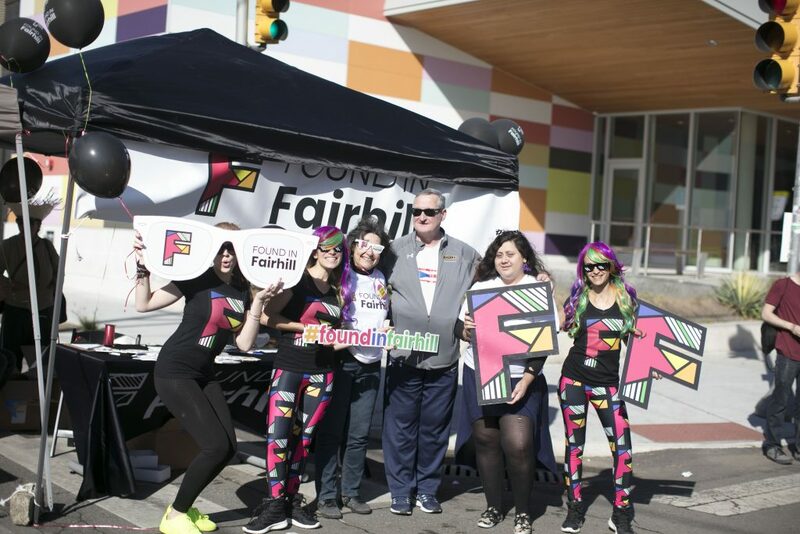 Even Mayor Kenny walked the entire route, and stopped by the Found in Fairhill tent for a photo opp with volunteers. Councilwoman Maria Quinones Sanchez was also there to meet with community organizers and take part in the beautiful day. “When is the next time you all are doing this?” was a popular question among participants. Hopefully soon! In the meanwhile, businesses and cultural centers continue to keep the community vibe going strong all year long in Fairhill. See more photos on our Facebook page.